I like representing heroes. I did it in the federal government, helping whistleblowers who were taking it on the chin for protecting us. One of the more rewarding things I had the privilege of doing in government as U.S. Special Counsel was protecting the jobs of heroes returning from National Guard or reserve duty under USERRA. Now back in private practice, I have been privileged to protect the rights of our silent service members – private contractors who work in Iraq and Afghanistan and Kuwait in support of Operation Iraqi Freedom and Operation Enduring Freedom. While about 150,000 troops from America have served in Afghanistan and Iraq at any given time over the last few years, we don’t hear much about the 200,000 private contractors, about 100,000 from America, the rest from England, South Africa, Australia and other countries such as Kuwait, Iraq, India, Afghanistan, South America, Uganda and so on. There have been several thousand deaths among these contractors, and over 50,000 injuries, some catastrophic, some psychological, sometimes both. Many of them are decorated veterans of the two current wars, Operation Desert Storm, the Bosnian conflict, or Vietnam, some with purple hearts, silver and bronze stars and other combat medals and awards. Many have been in the special forces of their countries’ armed services. They believe in helping America fight terrorists and defend freedom. They have placed their lives on the line as security personnel, carrying guns, or as combat drivers, as firefighters on bases where they are attacked, bombarded by mortar fire, shot at, and subjected to extremes of war and heat, during long work days usually seven days a week. These are not “mercenaries,” with all of the negative connotations contained in the word. They are patriots. Many of these ordinary heroes have suffered physical and mental injuries, including having their limbs blown off, contracting brain injuries from concussion blasts of roadside bombs, or severe post traumatic stress disorder from being subjected to horrifying scenes of dismemberment, death, and threats of same every day. What has the American government done for them, and what have the insurance companies being paid billions done for these men and women? There is a system in place that is supposed to help them, like the military system in place to help injured soldiers, like the system in place to help displaced workers under USERRA, but then we saw in the Walter Reed Medical Center debacle and when I was United States Special Counsel what happens when a system breaks down and stops treating people as individuals. They become prisoners in a bureaucracy that does not stoop to help them quickly as the law requires and sometimes punishes them for seeking their benefits. Some in the system have expressed resentment that these workers who dodge bullets would earn higher pay for going to a war zone where its temperature is only outpaced by the danger. These silent warriors are often deprived of their benefits and subjected to a torturous process of denial of claims, and a circuitous series of bureaucratic delays and bad faith mistreatment by the insurance companies and the contracting companies who have been paid by tax dollars to provide them the workers compensation insurance. 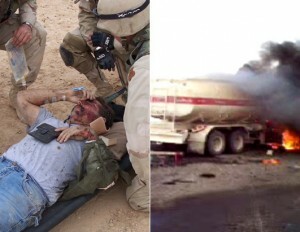 Their injuries are often grievous, involving disabling physical, mental and brain conditions. Yet the hell of war is nothing compared to the hell of dealing with a system that favors the contractors, their insurance carriers, and the difficult-to-negotiate bureaucracy that administers the benefits under the Defense Base Act by way of the Longshore and Harbor Workers Compensation Act. The law is supposed to be liberally construed to get benefits to injured employees, including disability payments to replace wages, and all medical benefits necessary to remedy the conditions. One of the scandals of all of this leviathan process is that the taxpayer pays the premiums on this expensive workers compensation insurance, and the insurance companies can get all the money back they pay out in benefits if the injuries result from a war hazard. 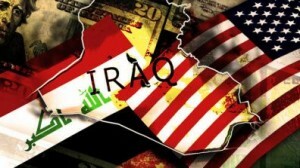 DynCorp, KBR/Halliburton, Blackwater, have all been hit with hundreds of millions in fines for fraud on the American people. Congress just found that CNA for one has overcharged the government $58 million for insurance because the contractors do not reimburse them for overpayments. Insurance Giant AIG has obtained 40 billion in bailouts, but just had to pay half a billion in fines for fraudulently understating insurance experience figures, and now is wreaking havoc on the lives of these brave, silent soldiers. These insurance companies can even get a 15% rider of administrative costs and attorneys fees. Yet the companies and the insurance carriers act like these brave men and women are a bunch of loafers on the system, cheaters and deadbeats. And they play games with their lives, and the lives of their families that has caused many to be ruined, thrown out of houses, thrown out of wheelchairs, credit in the toilet and lives in shambles. They face ridicule, delays, run arounds, abuse, and a lengthy wait in an administrative system only Kafka could have thought up. Many spend years waiting to resolve their cases while attorneys toss around arcane questions of law or medical practice. Benefits get held up, months go by with neither the contracting company, the insurance carrier or the Department of Labor acting on the case. Some people have committed suicide waiting on the process, some have given up bringing claims out of utter disgust or discouragement. Many would rather go without than deal with the punishment of the DBA. Congress has had hearings on this, inspectors general have looked into criminal allegations against the companies and their carriers, and the people continue languishing, getting worse due to non treatment, and losing their doctors who refuse to be abused by the insurance companies like AIG or CNA or Zurich or ACE American who run the tables with their attorneys and deny benefits at the drop of a hat, and then often start them again, willy nilly. That is why I have instituted a class action against the major defense contractors and insurance carriers to stop their illegal behavior and provide justice for these abused contractors. I have been joined by Bill Skepnek in this fight. To read the complaint or more about this problem, go here. So the next time you hear someone call these people mercenaries, or think the injured are faking it, remember the battalions of silent warriors protecting you and me, and the horror they face on their return. These people are heroes, and their families have been forced to fight a war here at home, and they need our help, our support, and our members of Congress to do something before it’s too late. © 2011 by Scott J. Bloch. All rights reserved. This article may not be reproduced without express written consent from Scott J. Bloch. Scott J. Bloch was Special Counsel over the U.S. Office of Special Counsel from December of 2003 until December of 2008 and now practices law in Washington, D.C. on behalf of injured contractors, whistleblowers, and employees throughout the country and around the world. WASHINGTON, DC (September 26, 2011) – Since 2003, top government contractors like Blackwater, KBR, DynCorp, G4S, CSA/AECOM and ITT have been perpetrating a fraud on their employees and on the American public. The silent warriors who work for these companies, many of them decorated former military service members, have been injured, mistreated and abandoned by the contracting companies and their insurance carriers who have been paid hundreds of millions of dollars in premiums. Pro Publica reporter T. Christian Miller has reported on the case here: http://www.propublica.org/article/injured-war-contractors-sue-over-health-care-disability-payments. Read PRESS RELEASE Complaint DBA Class here. Read more here about this landmark case. Numerous news sources have picked up on the class action law suit filed by Scott Bloch on behalf of former employees of Blackwater Worldwide, now called Xe Services, who had been misclassified as independent contractors and deprived of benefits Blackwater provided to others it called employees. The Virginia Pilot, Fox News, Legal Times, and many others have reported on this. See links below. There has been great interest in the law suit not only by news sources and the public, but by many former employees of Blackwater who have contacted us to inquire into being part of this important case to vindicate the rights of these brave individuals, and their families. Go here to sign up. Read Complaint as filed Mercadante et al. v Blackwater et al here. WASHINGTON, DC (June 7, 2011) – Since 2007, Blackwater Industries, which has changed its name to Xe Services, has employed over 10,000 personal security specialists to perform operations in Iraq and Afghanistan under lucrative contracts with departments of the United States Government including the State Department and CIA. While employing these individuals, many of whom are decorated veterans of the armed services including Special Forces, Army Rangers, Navy Seals, Blackwater sought to avoid millions of dollars in taxes, withholding, and payments of benefits to these employees by classifying them improperly as independent contractors. Yesterday, Scott Bloch filed a class action lawsuit on behalf of four former security specialists, who were injured while working for Blackwater, in order to recover their payment of social security, unemployment insurance, and unpaid benefits and state and local withholding and unemployment insurance, and other unspecified damages. The action is brought on their own behalf and thousands of others who have worked for Blackwater and its newly named Xe Services. The action seeks $60,000,000 in damages and punitive damages, as well as additional amounts as proved for the class of specialists. According to the lawsuit, the United States treasury loses billions of dollars annually to misclassified employees. Under the common law and the IRS 20 questions put out in 1987 pursuant to a regulation, Blackwater was obliged to classify these individuals as employees if Blackwater had the right to control the employees’ actions, manner of performing duties, hours, training, equipment, whether the duties of the employees go to a core function of the employer or are duties that are consider ancillary to the main purpose of the company, and other factors. 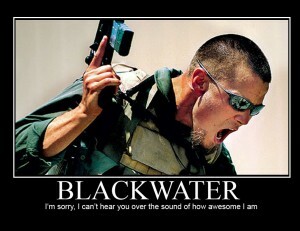 Read full PRESS RELEASE Suit against Xe Blackwater here. See additional reports from Article Law 360 report here. G.K. Chesterton said, “If a thing is worth doing, it is worth doing badly.” This famous witticism turns out too often to be a guiding principle for government oversight. Americans are tired and frustrated. We sense that there is too much money and corruption in our government. We’re tired of compromise in aviation safety by the Federal Aviation Administration. We now learn from the Transportation Department Inspector General that near misses are up over fifty percent. You know there is something wrong when every week for a month controllers are being caught falling asleep on the job, watching movies, or bringing the First Lady’s airplane up close and personal with the flying public. And more recently the Second Lady’s plane was on a crash course with another plane out of Chicago O’Hare airport. Somebody is going to pay. Only it will not be the FAA. They’ll find a suitable scapegoat. And if anyone speaks up, he will be fired or retaliated against. Over and over, when the FAA is caught asleep at the wheel, those in charge rattle their sabers, fire low level individuals and allow the management that refuses to play by the rules to stay in power. Soon it all slouches back into a comfy system because the FAA does not like oversight, does not tolerate whistleblowers, and will say whatever it takes for the cameras to stop rolling and the members of Congress to stop having hearings. I know because I shined the light on FAA malfeasance and cover up for five years when I headed the independent oversight agency United States Office of Special Counsel (OSC). In several rounds of near-misses of aircraft, Air Traffic Controller Anne Whiteman learned that blowing the whistle on FAA malfeasance did not pay. She was proved right in two separate investigations by my office, one in 2005 (featured on Oprah show), one in 2007 with a second whistleblower in her control facility. During that round, she revealed cover ups of serious near misses, including controllers playing chicken with planes, and the FAA lying about fixing the problem. In the second round, FAA tried to shift blame to pilots in order to cover up safety violations and keep those safety numbers from edging up. After the Inspector General and press revealed the seriousness of the cover ups, the FAA swore it had taken care of the problems, the wrongdoers, and would no longer cover up near misses and incidents that endangered passengers. But they hadn’t. Anne Whiteman was retaliated against so often she felt she had to retire. Threats to her life, removal of privileges of employment, attempts to find dirt on her, and harassment by management and rank and file alike took their toll. Now the third round is upon us, and we are seeing no sign that the house cleans itself. OSC also experienced several rounds with FAA on cover up of fraudulent mechanics certificates for FAA safety mechanics. In that case, the whistleblower experienced retaliation as well. Witness another example of a repeat problem in the grounding a month ago of some 300 scheduled flights, and hundreds of aircraft due to the five-foot fuselage hole and depressurization of the Southwest Airlines flight 812 in Yuma, Arizona. We brought these problems to light in 2007 and in 2008, Congressional hearings, OSC’s investigation, and Inspector General’s findings showed a cover up of the structural fatigue cracks in the ageing Boeing 737-300, 700 and other 737 series. Our whistleblowers, like Anne Whiteman, came forward and revealed a wide scale cover up of FAA and Southwest Airlines refusing to comply with Airworthiness Directives (ADs) requiring regular inspections of the fuselage of these Boeing 737s for just the type of holes or cracks that appeared in the recent depressurization of flight 812. Whistleblowers Bobby Boutris and Doug Peters reported to OSC that they as FAA maintenance inspectors were being stopped from enforcing this AD by FAA management under the so-called partnership program with the airlines. We found a violation of the AD and retaliation against Boutris and Peters for their efforts to uphold this important safety regulation. There was a revolving door problem of FAA safety inspectors being invited into cushier jobs with the very airlines they were supposed to oversee. We referred the case to the Inspector General of the Department of Transportation, Calvin Scovell III, for fuller investigation and correction of the problems, which he confirmed had occurred. Massive attention was paid, a high level FAA executive had to leave his job, 1000 planes were grounded, a whole fleet of Boeing 737s were mothballed, and still Southwest and other Airlines were allowed to let slide these dangers. I found that powerful interests in government don’t like oversight one bit, and they retaliate and come after you. Is this the kind of oversight and aviation industry we want in America? Consider that in the face of ongoing problems with structural fatigue in the old 737, and in Boeing’s Next Generation or NG 737, which is also facing non-conforming parts creating the very same structural integrity problems in the news. So did the FAA or Inspector General of the Transportation Department look into this? Not at all. FAA has gone into business with Boeing to develop the Next Gen or NG warning system and, so far, has tried to sweep the 737 NG structural problems under the rug. FAA is paying Boeing billions to develop and implement this NG system. Is this what America expects of its public officials, to get in bed with Boeing or other large aviation interests? John Adams said, “Good government is an empire of laws.” But what happens when officials won’t enforce those laws? We, the citizens, have to join with vigorous representatives who are not merely beholden to lobbyists or industry. They have tried to silence the whistleblowers, silence their critics. But their voices will be heard. That is if weren’t not asleep at the switch. Hon. Scott J. Bloch was Special Counsel over the U.S. Office of Special Counsel from December of 2003 until December of 2008 and now practices law on behalf of aviation and other whistleblowers, injured government contractors, and private and public employees, in Washington, D.C.
On FAA Cover Up Special Counsel stories, it was reported that Scott Bloch took on the federal government’s cover up of near misses at Air Traffic Control facilities and other cover ups, revealing a culture of fraud in the FAA.